2014 was an interesting year for Outback Steakhouse Racing. The year began with the departure of long-time driver Ryan Newman and the arrival of Kevin Harvick. As a thank you gift, we developed a vintage gas station style metal sign to hang in his personal garage where he collects and maintains classic cars. 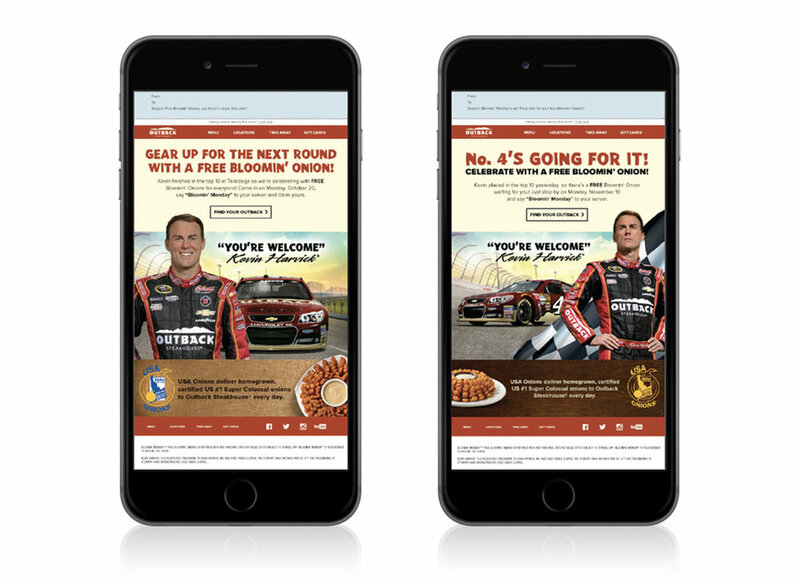 For Kevin Havick’s debut, our team developed a new look and feel for Outback Racing and Outback Steakhouse’s Bloomin’ Monday promotion. 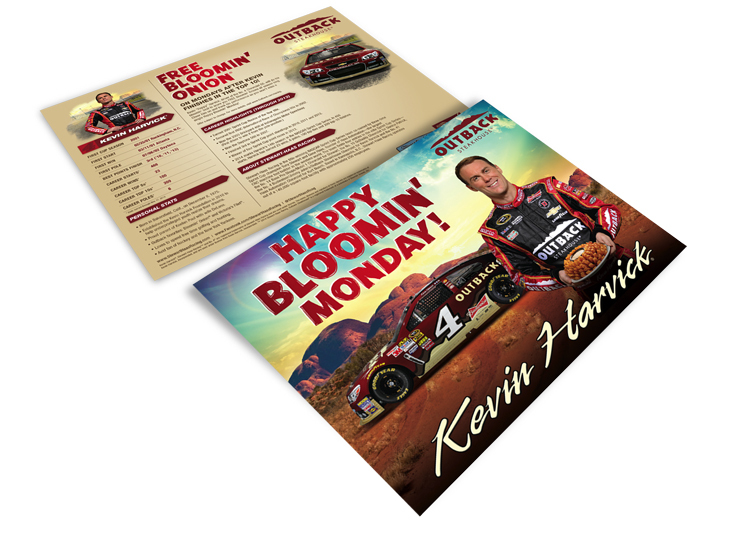 Bloomin’ Monday would become “Happy Bloomin’ Monday” as nod to Harvick’s nickname (Happy Harvick) and the branding would take on a very eye-catching color scheme. The updated branding would be applied to the season’s hero card, bar coasters, event signage and team website.